This is via Lee, but I guess I’m beating him to the punch this time in terms of putting it on OST. 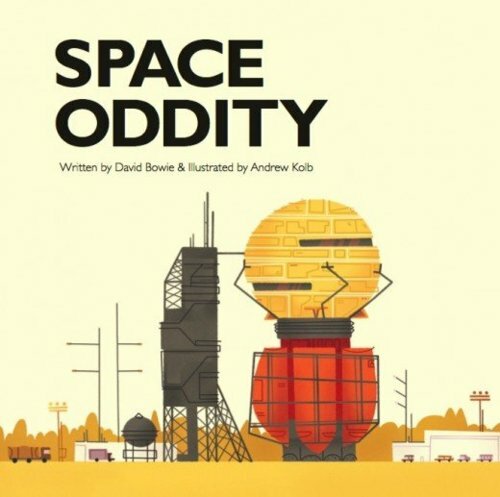 Someone, namely Andrew Kolb, did David Bowie’s “Space Oddity” as a children’s book. The illustrations are great, but I still think this would only be for if you had children who were very naughty and you wanted to make them cry. A lot. Especially when they ask how Major Tom gets home. And you say “He doesn’t.” And then they ask how he eats food up there. And you go “He doesn’t! He dies!” like in the Michael Ellis sketch on Monty Python. Major Tom is an ant.